Criminal Defense Attorney Thomas Kokonowski Legal Protection After Probation Violation | Thomas Kokonowski, Esq. Legal Protection After Probation Violation | Thomas Kokonowski, Esq. Posted on : January 5, 2017, By: Tom Kokonowski, Esq. If you are convicted of a crime, chances are, probation is part of your sentence. 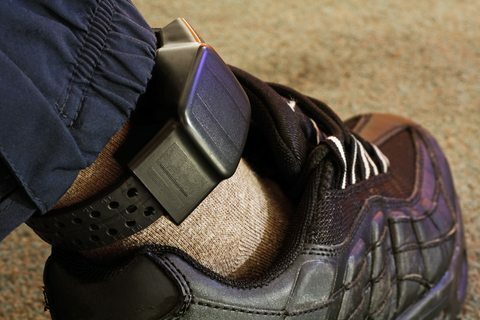 Probation has strict rules that you must follow in order to satisfy the court’s requirements. A single violation can be enough to send you to jail. Learn more about probation violations and how to get legal protection after a probation violation. I Know I’ve Violated My Probation — Now What? If you were aware that you violated your probation, it’s critical that you contact a seasoned criminal defense attorney. If, for example, your probation terms stated an avoidance of drugs and alcohol and to submit to random testing and you failed a drug test, your probation might be revoked. Then, you would face your original incarceration sentence. However, the prosecution has the burden of proof in a probation violation case. They must prove that you did, in fact, violate your probation. In the above example, your prescription medication might have given you a false positive on the test. Or, the test may be invalid due to improper testing procedures. Your attorney can examine the facts and let you know what your best possible defense strategy is depending on what your violation and original conviction was. Many people aren’t fully aware of all the terms of their probation and may be unaware that they’re in violation. For example, they might be evicted from their apartment and be forced to move on short notice and fail to notify the court of their new address within the allowed time frame. If you think you may have violated your probation but aren’t certain, it’s just as important to have a skilled criminal defense lawyer on your side. An attorney will help you determine if your probation was violated. An attorney will aggressively fight for your rights in the event that you violated the terms of your probation. Whether you’re confident that you violated your probation or not, your future is too important to gamble with. Don’t hesitate to get the legal support you need to avoid incarceration. Contact the Law Offices of Thomas Kokonowski, Esq. for experienced and zealous legal defense in your case. Call now for a consultation to discuss the facts and your next move at (413) 585-9200 or (413) 549-0022.